'Thoughtless driving that endangers the lives of children is simply unacceptable,' said Highways and Public Works Minister Richard Mostyn. The Yukon government has hiked the fines and demerit points for drivers who fail to stop for school buses, or pass them illegally. "Thoughtless driving that endangers the lives of children is simply unacceptable," said Highways and Public Works Minister Richard Mostyn. Under the new rules, which came into effect on Monday, the fine for failing to stop for a school bus that's picking up or dropping off kids is now $500, up from $200. Demerit points have increased from five to eight. The penalties for drivers who pass a bus illegally were the same, and have increased by a similar amount. 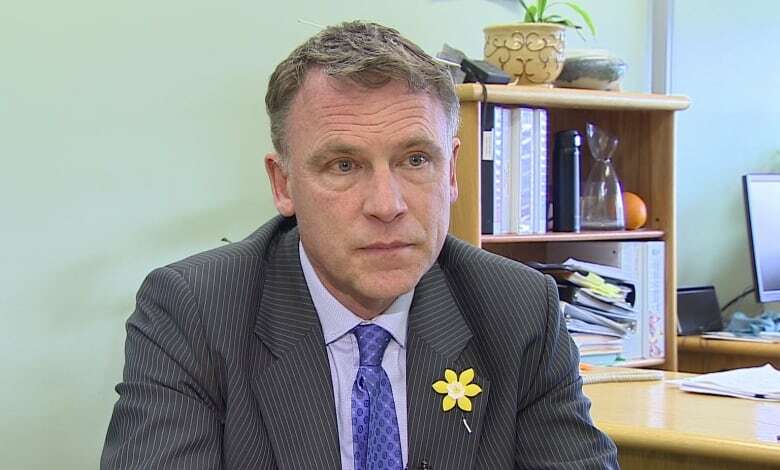 Mostyn says there may be even stiffer penalties coming; the new fines are the maximum allowable under Yukon's Motor Vehicles Act, and Mostyn says the government is now planning to update the legislation that's been around since 1977. "Five hundred bucks was a lot of money in 1977 — it's not so much now," he said. Mostyn says school bus safety is being talked about across the country right now. He's not ruling out some other measures Yukon might take, such as adding seat belts or dashboard cameras to school buses. 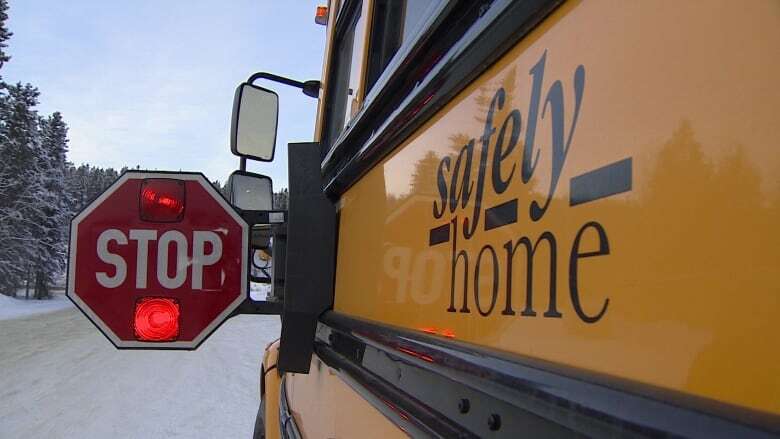 School bus safety in Yukon came under the spotlight earlier this year, when a truck driver was charged after clipping a school bus that was stopped on the side of the Alaska Highway. Parents and school bus drivers also spoke out about close calls they've witnessed on the roads, and some called on the government to crack down. Katherine Sandiford, whose son catches a school bus on the Alaska Highway south of Whitehorse, is one of those parents. She calls the new penalties "a chicken scratch on the larger campaign" to improve school bus safety. "It's a small little thing that they can do, and certainly it's going to raise awareness again." Sandiford believes things have already improved on the roads, as more people have been talking about the issue. "How long that will last, we'll see," she said. Ron Swizdaryk, the director of Standard Bus Yukon, the company that has the busing contract from the Yukon Department of Education, is not sure there's been much change. If anything, he says the problem of reckless driving "seems to be getting worse, not better." "It happens every day. Not always the same place, but sometimes it happens more than once in a day. And that's too much," Swizdaryk said. He's also pleased the Yukon government has increased the penalties for drivers, but he's skeptical that it will make much difference. He says police won't always be around to see things when they happen and lay charges. "I think public awareness is the only thing that's going to solve the problem ... we've just got to get people, public awareness, that they have to stop when these lights are flashing, and there's just no two ways about it."